Solo Flight for Chester-le-Street Air Cadet! 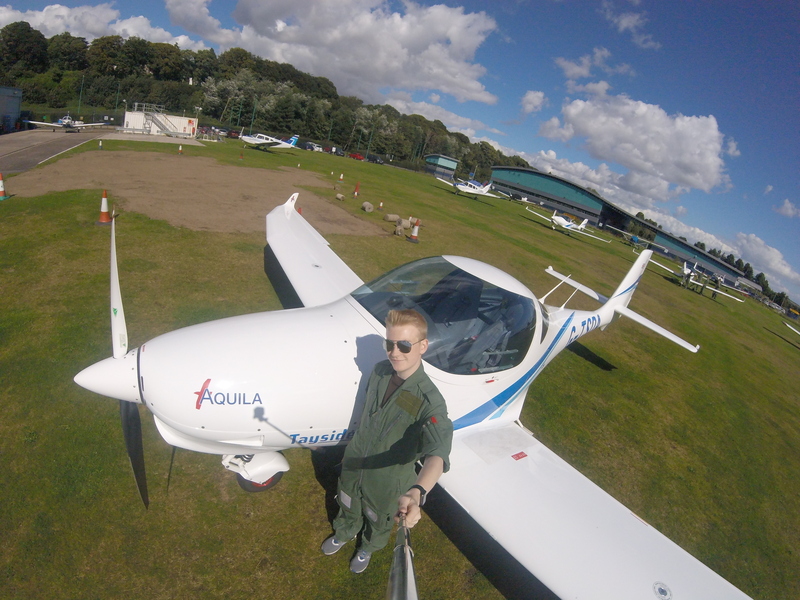 A Cadet from 1507 (Chester-le-Street) Squadron was lucky enough to be selected for the Air Cadet Pilot Scheme, and spent two weeks over the summer at Tayside Aviation – culminating in a solo flight! “During August 2016 I was chosen as one of 186 cadets across the Corps to complete the Air Cadet Pilot Scheme. This scheme gave me 12 hours of free flying training, with the chance of a solo flight, at Tayside Aviation, Dundee. It was one of the best experiences of my life as flying is my passion and I was given the opportunity to meet other Cadets from across the UK. There was a total of 6 Cadets on my course, 4 were in the ATC while the other 2 were from CCF (RAF). The first week flew by as we learnt the basics on how to fly the Aquila 211. However, the second week was much more intense as we were given more and more control over the aircraft. At the very end of the course I climbed into the Aquila for what was my last dual flight for a solo check. Everything went perfectly and I was the only member of my course to fly solo! It was the best feeling in the world! As a record of my achievement I was awarded the Cadet Pilot Wings. To find out more, or if you are interested in applying for this opportunity, speak to your Squadron Staff.